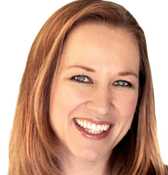 With summer heading towards fall and the median San Francisco housing price hitting $1 million, Ruth Krishnan, top San Francisco real estate agent, urges buyers to buy now and beat the Bay Area fall frenzy. 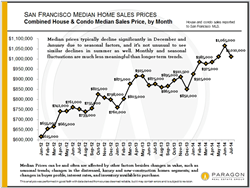 My forecast for the upcoming fall San Francisco housing market season is that it will again be a frenzied time. 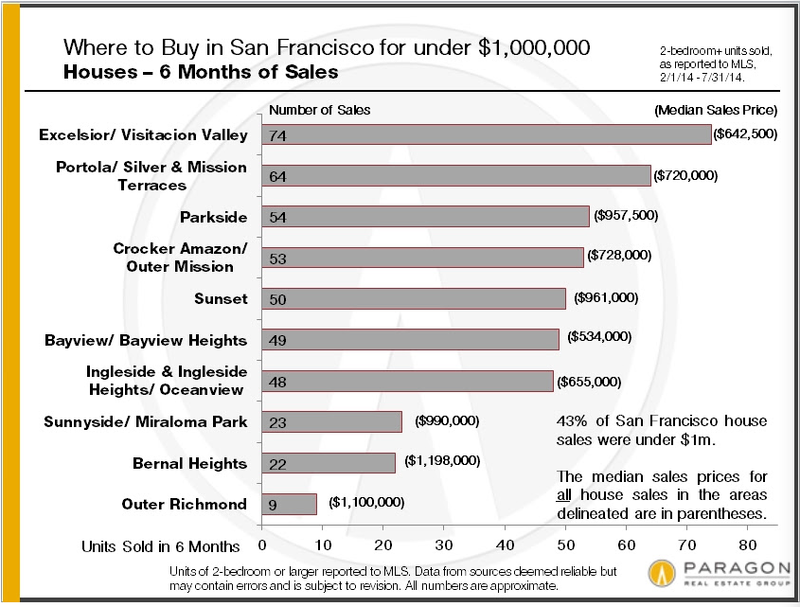 For San Francisco home buyers in the under $1 million market, choices are narrowing and the time to buy is now, before San Francisco’s traditionally hot fall market gets underway, according to a July 2014 San Francisco real estate report just released by Ruth Krishnan of Paragon Real Estate. For buyers looking to purchase a home for under $1 million, there are only eight neighborhoods left in the San Francisco housing market where it is possible to buy a two-bedroom home for that price, according to the July 2014 San Francisco real estate report (see “Where to Buy in San Francisco for under $1,000,000,” attached). 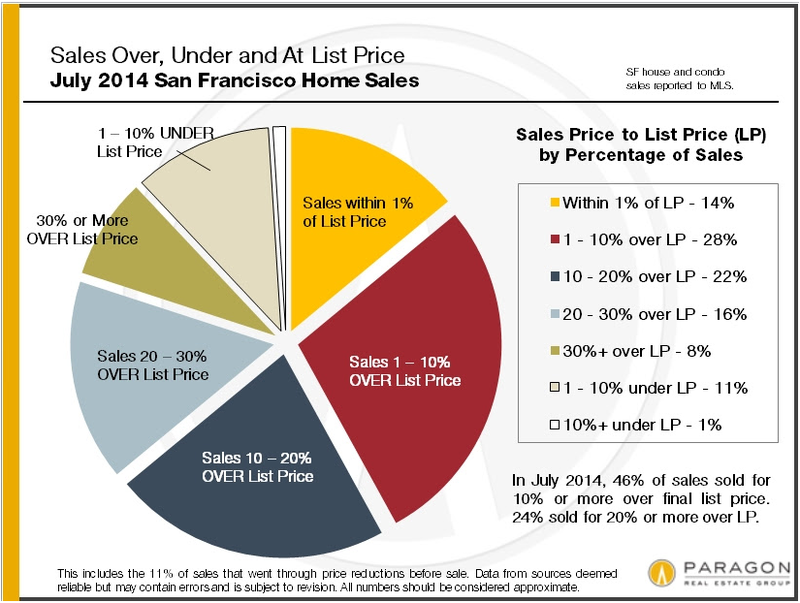 This summer, up to 26% of San Francisco homes sold for less than 10% over asking price, with 14% of those homes selling for within 1% of list price (see "Sales Over, Under List Price," attached) according to Krishnan's report. For the full report, visit http://www.ruthkrishnan.com/article/buy-now/.